U.Enkhtuvshin, Deputy Prime Minister held a meeting with Cuban Ambassador Raul Delgado Concepcion earlier today (18 October). 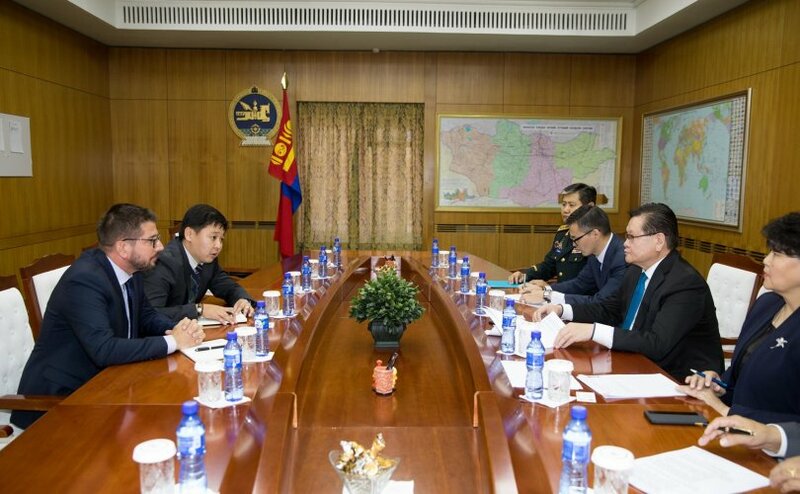 At the meeting, the two sides discussed possibilities of developing cooperation between Mongolia and Cuba in economics and trade, medicine, education, culture and sports. Furthermore, they agreed to hold joint training in judo, boxing and freestyle wrestling for the Tokyo Olympic Games, to organise events celebrating the 60th anniversary of the establishment of diplomatic relations between Ulaanbaatar and Havana, developing tourism, student exchanges as well as increasing the number of high-level visits. 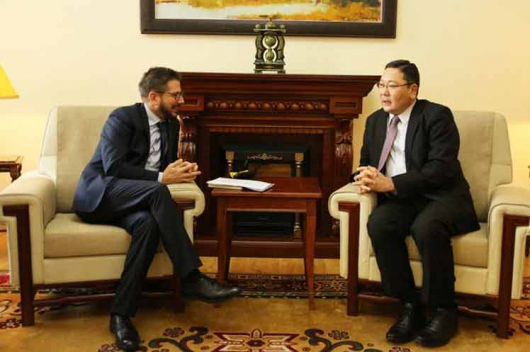 Ambassador Delgado Concepcion also delivered an invitation to the Mongolian Deputy PM to visit Cuba.